From the vaults of DC Comics and Warner Bros. comes ‘Young Justice’, which is a part of the famous Justice League. This release is the latter part of season 1 boasting four episodes in total. The animation is really good and I think the younger generation will really take a liking to this new generations of super heroes. 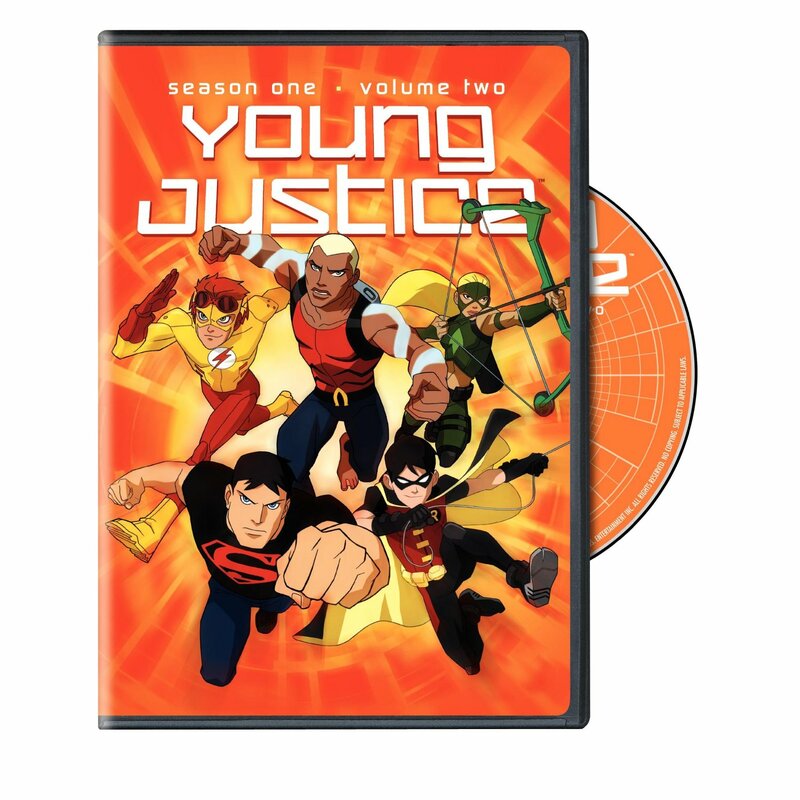 All hail ‘Young Justice’. 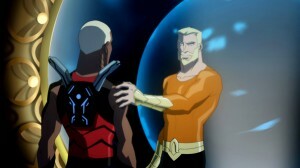 Animated DC Universe cartoon series for a new generation starring ROBIN, AQUALAD, KID FLASH, SUPERBOY, MISS MARTIAN and ARTEMIS . Combined these six teenage heroes are YOUNG JUSTICE the JUSTICE LEAGUE’s secret weapon against the forces of evil. Based out of THE CAVE, the teen heroes will take on under-the-radar missions that would be impossible for the League proper (with its incandescent star-power) to handle covertly. In addition, these kids are in constant training to take their place alongside the great heroes. RED TORNADO will be their supervisor; BLACK CANARY will be in charge of their training, and BATMAN will hand out their assignments. 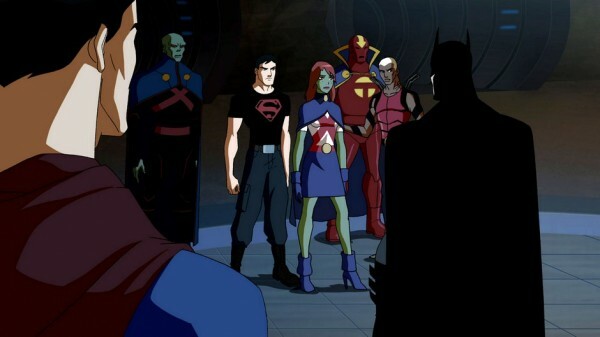 And of course, Young Justice will push their missions, often turning a simple assignment from Batman into something much larger, often discovering that what they’ve been tasked to do is just the tip of the iceberg. The episodes include: ‘Schooled’, ‘Infiltrator’, ‘Denial’, and ‘Downtime’. This series is actually a really good story and wonderful cartoon show. They really nailed down the whole teenage superhero demo and made it appeal to more than just its target audience. I do find it strange there are only four episodes on this release. I wish at some point Warner Bros. will just release complete seasons first, rather than just releasing volumes. I get that it’s a price point issue, but it’s really unnecessary. The video is in standard definition and is presented in its widescreen format of 1.33:1 aspect ratio. The show as a whole looks really good. The colors are bright and the animation flows smooth. It’s not the best animation I have ever seen, but it’s clear with nor cracks or noise. It’s really a good video presentation. The audio has a Dolby Digital surround sound mix and sounds really great. The speakers get a work out during the action beats and the dialogue comes across as crisp and clear. It was a full sound and it was a pleasure listening to. 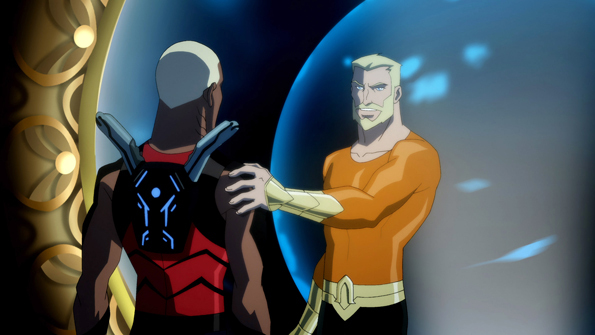 ‘Young Justice’ is a great animated series. No doubt that the younger generation will eat up this teenage superhero Justice League. And we do get to see the major DC superheroes throughout the show too. So that’s a plus. The audio/video presentations are great, but sadly there are no extras. The price point is right around $10.00 for this one, which makes it cheap, but only for four episodes. I’d skip buying this and just get the entire series. No need to mess about with volumes. The WBShop has the DVD for under $10.00 while Amazon.com has the DVD for a little more. This entry was posted on Tuesday, March 27th, 2012 at 9:52 pm	and is filed under Film, News. You can follow any responses to this entry through the RSS 2.0 feed. You can skip to the end and leave a response. Pinging is currently not allowed. « Check Out the Red Band Trailer For ‘American Reunion’!!! It’s Funny!! !